Arlene from Israel: A Deep Breath. Unless we breathe deeply and slowly, and focus on the good that abounds in Israel – and the good that Israel exports to the world – we run the risk of feeling overwhelmed. These are not the best of times (understatement). And so, good news first (emphasis below added). “Israeli high-tech startups were red hot in 2015, and are entering 2016 as exciting commodities for investors worldwide, according to numerous end-of-year market reports…. writes Rubi Suliman in the PwC report. “Asian delegations to Israel grabbed headlines throughout 2015 and reports show that it was definitely not a one-off. “Volunteers from the Engineers without Borders (EwB) chapter at the Technion-Israel Institute of Technology joined up with a rural community in northern Ethiopia to design and build a safe drinking-water system for their school. “The system collects rainwater from the rooftop during the rainy season and stores it in a stone reservoir constructed as part of the project. The water is cleaned and treated before reaching the school’s holding tank. Are those who support BDS ready to rethink their positions yet? Until now we have worked primarily in the Knesset, and we will continue to do so. But at this point, we are eager to reach out with innovative and important projects outside of the Knesset as well. 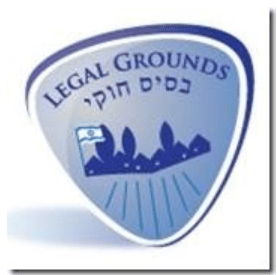 A significant venture we are advancing now is a series of classes for a select group of Israeli law students – all of whom study in law schools that tilt left (they all do) – in order to provide them with important information regarding Israel’s rights in Judea & Samaria and all of Jerusalem, and help them understand how to apply this information in their practices. If you would like to know more about what we are planning, please contact me directly. Terror-related issues remain uppermost in the minds of most Israelis. Last Friday afternoon, in a terrorist shooting on Dizengoff Street in Tel Aviv, two people were killed, two seriously injured and five others injured moderately to lightly. The attacker shot 15 times with a submachine gun, aiming into various establishments such as a bar, restaurant and café. The terrorist was subsequently identified as Nashat Milhem, who had served time in prison for attacking a soldier. At first, the terrorist’s father rushed forth, ostensibly to lend assistance – he called for his son to surrender, etc. Subsequently he and other family members where picked up by police and questioned as possible accomplices. In this instance, the terrorist fled, and was not caught either by security or by bystanders. Tel Aviv was combed – while mothers kept their children home from school – and then after some days it was declared that he had left the area and is either in the north or, it is thought, in a PA area. As I write, he is still at large. This is the first time this has happened in the course of the current intifada. What I want to note as well, is that there seem to be fewer stabbings and vehicle attacks now, and more shootings. An escalation. And there is something else notable about this particular incident. Milhem (pictured) is from the Israeli Arab village of Ara’ra, in the north of Israel, close to the village of Umm al-Fahm – a hotbed of Arab radicalism that served as the focus of the Israel Islamic Movement, northern branch. All in all, a troublesome area. And I say, Mazel Tov, this was long past due. Psychological identification by some – not all!! – Israeli Arabs with Palestinian Arabs is a major problem, and in recent years Israeli Arabs have been increasingly radicalized by Palestinian Arabs who play on that dual sense of loyalty. It does not work and damages Israel. The prime minister did not paint all Israel Arabs with one brush. He praised those who voluntarily enlist in the IDF or do national service, and those who spoke out against the attack. At the same time, he announced that Public Security Minister Gilad Erdan and Police Insp.-Gen. Roni Alsheich had established a plan to greatly increase law enforcement services in Arab areas throughout the country. At Sunday’s Cabinet meeting, the prime minister enlarged on these plans. There will be increased enforcement of the law with regard to building, regulations against noise coming from mosques, and incitement coming from mosques, social media and the educational system. Additionally, there will be confiscation of large quantities of illegal arms in Arab communities. In spite of the fact that Netanyahu said that this increased law enforcement would also help Arabs, many of whom suffer as a result of lawlessness in their communities – which results in heightened criminality – some Arab leaders charged him with inciting against the Arabs of Israel and singling out one group. Netanyahu – thankfully – was not moved by these charges, and I would dare say that in light of the terrorism our nation is currently coping with, these plans will be most welcome by a majority of Israelis (including some Muslim Arabs). Knesset Interior Affairs Committee chairman David Amsalem (Likud), for his part, announced that he would swiftly call a meeting of his committee to consider the issue of illegal weapons. At the very end of December a decision had been made to allocate an additional $4 billion towards services in minority communities – Muslims, Druze, Christians and Circassians, with Muslim Arabs predominating. This is as it should be. Services of equitable levels in communities across Israel and law enforcement of equitable stringency. After Netanyahu’s announcement regarding increased law enforcement, there were murmurs in the Arab community about the additional allocations being tied to this, which is being denied. Illegal housing construction will be impacted, however, with a different sort of housing being funded. But as we are going into Shabbat, I close here with a traditional version of Shalom Aleichem, traditionally sung on Friday evening. Peace upon you, ministering angels, messengers of the Most High, of the Supreme King of Kings, the Holy One, blessed be He. Come in peace, messengers of peace, messengers of the Most High, of the Supreme King of Kings, the Holy One, blessed be He. Previous Transparency for Thee, But not for Me.